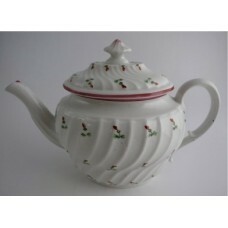 A very attractive John Rose Coalport teapot and cover c1798. 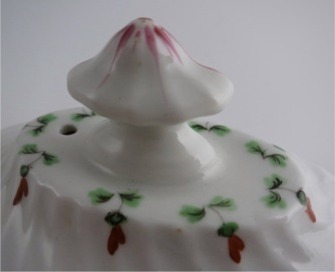 It is of a charming 'waisted' moulded oval form, with elegant little flower sprig decoration in coloured enamels around the body and cover. 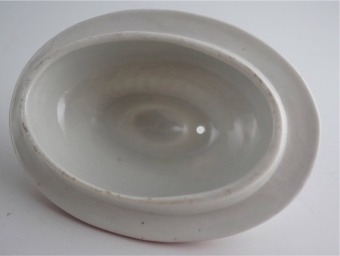 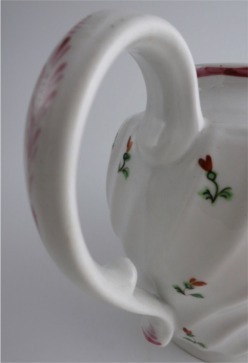 The main body of the teapot is called a 'waisted' moulded oval form due to the narrowing in of the lower portion of the body and the moulded spiral fluted lines around it, very popular towards the end of the Eighteenth century in tea wares. 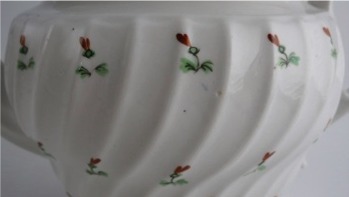 The body is decorated around it with three rows of hand painted little flower sprigs in pink and green enamels. 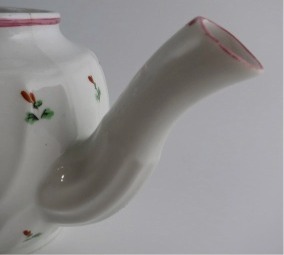 The teapot spout is faceted moulded to the lower portion and has applied pink decoration to the tip. 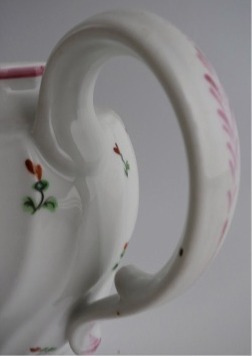 A pink line also edges the rim of the teapot. 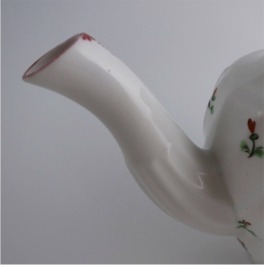 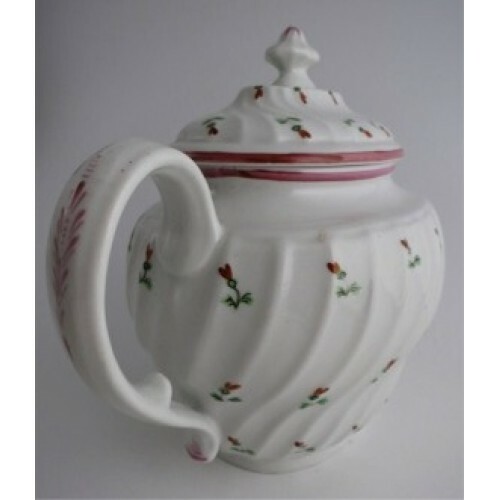 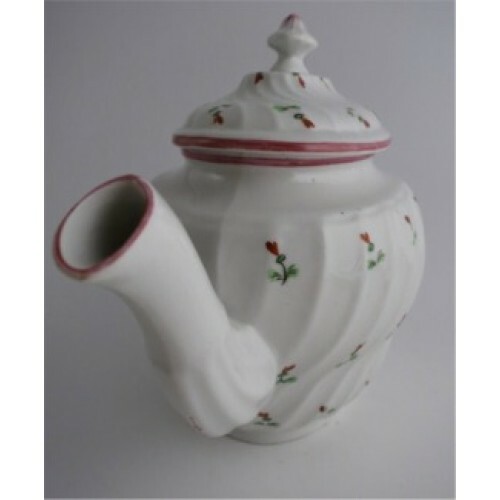 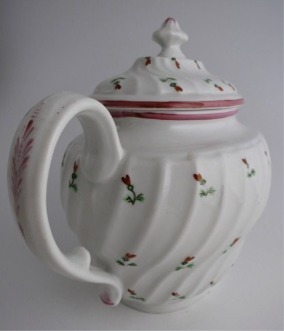 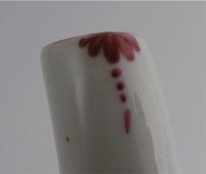 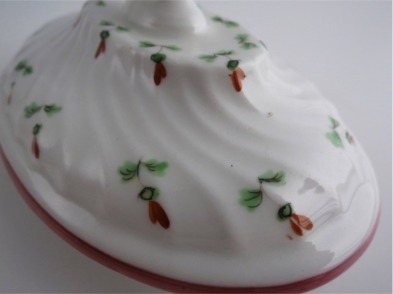 The open loop handle of the teapot has pink foliage applied down the back edge and has an inward moulded spur to the lower portion of the handle. 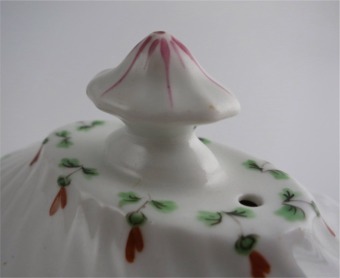 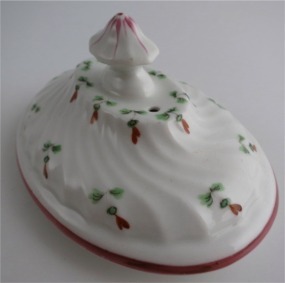 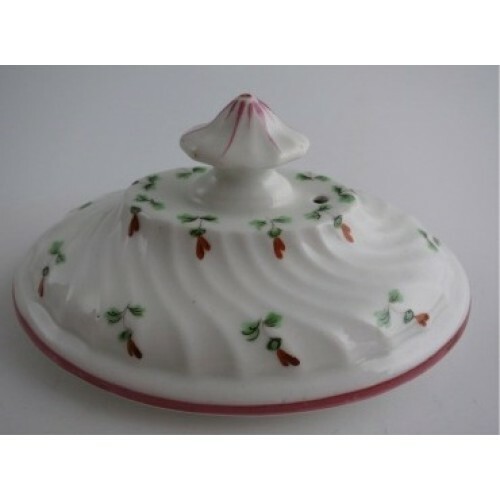 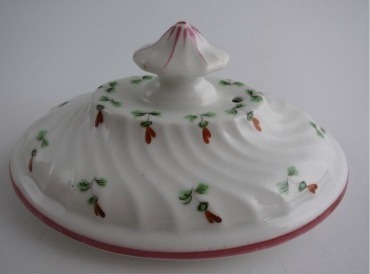 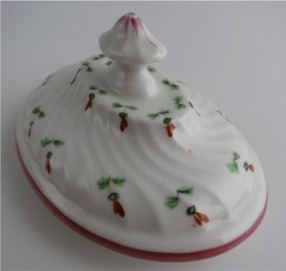 The oval cover of the teapot is also spiral fluted and has a faceted oval moulded mushroom finial embellished with pink lines. 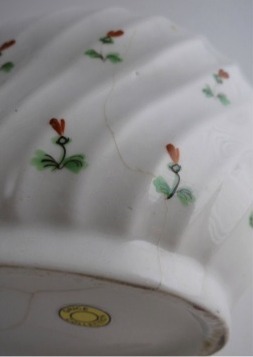 The cover is also decorated with the same little flower sprigs in two rows. 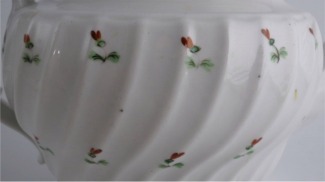 The lid's rim also carries a pink line edge to it. This charming John Rose Coalport teapot displays very well and the decoration is in very good order with very minimal wear, but the teapot does have some faults as shown below. 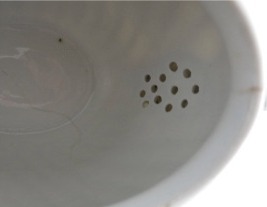 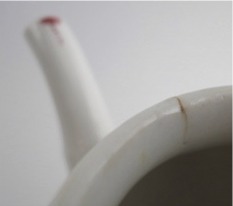 There are some stress cracks to the base and one side of the teapot's body and a short stress crack on the front of the rim of the teapot, this again is shown below. 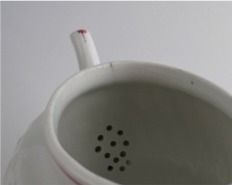 Despite these faults, the teapot is sound and the cover is perfect. 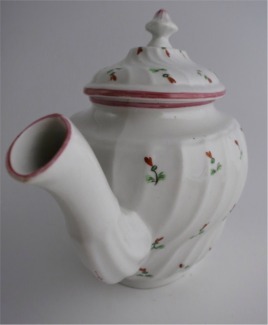 This makes a very fine collectors piece for display. 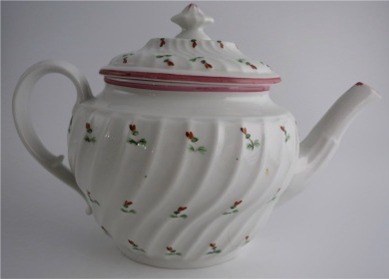 Condition (See main description for full details and pictures) This charming John Rose Coalport teapot displays very well and the decoration is in very good order with very minimal wear, but the teapot does have some faults as shown in the pictures in the main description. 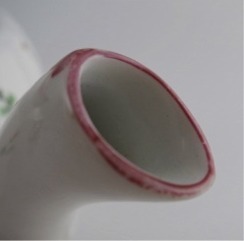 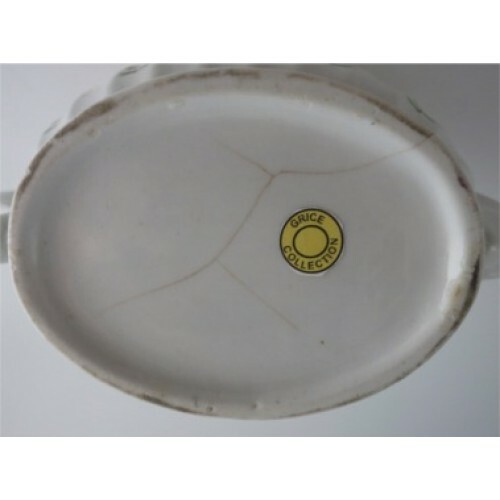 There are some stress cracks to the base and one side of the teapot's body and a short stress crack on the front of the rim of the teapot, this again is shown in the pictures. 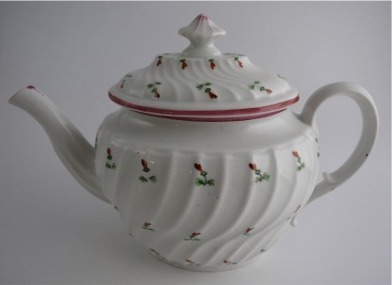 Despite these faults, the teapot is sound and the cover is perfect. 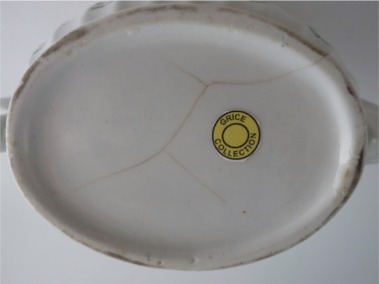 This makes a very fine collectors piece for display.